You will be met on arrival at the International airport. Transfer to your hotel. Relax. Overnight will be in Delhi. Breakfast will be at the hotel. After breakfast start combine city tour of Old & New Delhi. Transfer in time to airport for flight to Varanasi. Upon arrival at Varanasi, you will be met and transferred to hotel. 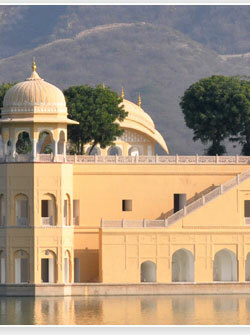 Afternoon excursion of Sarnath and evening enjoy Boat –Ride at Ganges River. Overnight will be at Varanasi. In the morning drive to Daswamedh Ghat and take a boat ride on the sacred river Ganges to see the cremation Ghats and witness the living traditions of one of the world's oldest and most important religions. Later city tour of Varanasi. Afternoon transfer to airport for flight to Khajuraho. After breakfast proceed for Gwalior by surface en-route visit famous Temples in ORCHHA. Overnight will be at hotel in Gwalior. Visit the Taj mahal by sun- rises later come back to hotel for breakfast. Afternoon visit Agra Fort and Itmaudaulah . Overnight will be at Agra. Proceed for Jaipur after breakfast. En-route visit Fatehpur Sikri. Evening visit famous Jaipur markets. Overnight will be in Jaipur. 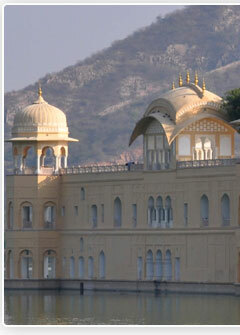 Later visit City Palace, Observatory , Birla Temple and Wind Palace. 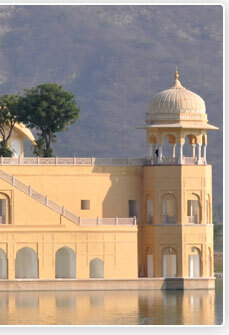 Overnight will be at Jaipur. Proceed to NIMAJ. (Chhatrasagar) Overnight will be at the camp. 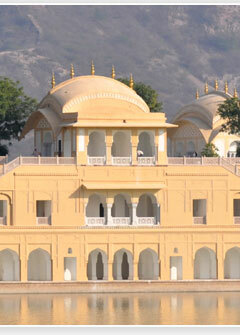 After breakfast, full day city tour visiting City Palace, Jagdish Temple, Pichola Lake , Sahelion Ki Bari etc. After breakfast proceed to Jodhpur en-route visit famous Jain temple in Ranakpur. Overnight will be at Jodhpur. Breakfast will be at hotel. 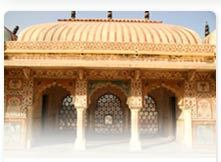 Later visit Mehrangarh Fort, Jaswant Thara and Mandore Garden. After breakfast, proceed for Jaisalmer.